The Sevastopol regiment of the Russian Imperial Army had a St. George banner of the m.1876 with the inscription "For the defense of the Bayazet fortress on 20 and 21 June 1829, and the honor in the Turkish war of 1877 and 1878 ". During the First World War, the regiment fought on the Western Front. 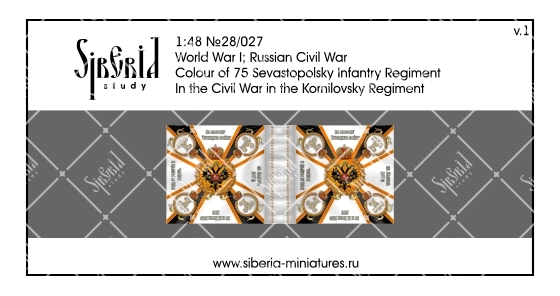 During the Civil War, the regiment (like a number of other regiments of the old army) was re-established in the White Army. In 1919 he was interned by the Poles in the army of General Bredov. In 1920 he returned to Russia and was included in the 2nd Kornilov Regiment as the 4th separate battalion.